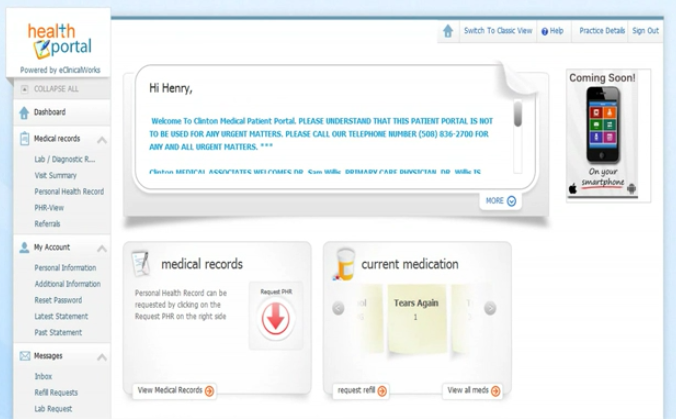 It’s helpful to think of patient portals as the Swiss Army knives of medical software. Why? They’re just so versatile. Government health care officials encourage the use of these multipurpose tools to digitize key parts of a medical practice’s workflow: Portals handle administrative and clinical functions and allow patients to be more engaged with their care team. In this guide, we break down everything you need to know to make a new or replacement patient portal purchase. Every year, more doctors realize the benefits of patient portal adoption. In fact, the results of surveys conducted by Software Advice show a rising number of Americans are logging onto portals. 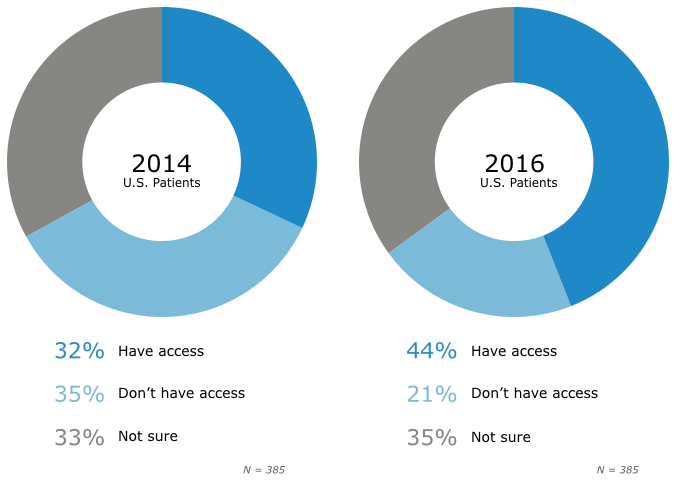 In a 2014 report, only 32 percent of U.S. patients surveyed had access to a patient portal. This year, we surveyed the same number of patients and found 44 percent have patient portal access. That’s a 37.5 percent increase in just two years. To foster better patient-physician relationships. Portals offer a 24-hour platform on which both parties can conveniently exchange health information, ask questions and review medical notes—providing more opportunities to connect. To improve clinical outcomes. Providing patients with prescription refill and renewal tools can help increase medication adherence. To optimize your workflow. Digitizing manual tasks (e.g., billing and scheduling) can reduce the volume of calls to your office, freeing staff to focus on their other duties. Once your practice is ready for new patient portal software, take some time to consider what functionality is on your wish list. The range and breadth of features a portal offers will vary based on vendor and cost. It’s important to separate the “must-have” capabilities from the “nice-to-haves” early on, so you don’t waste time considering solutions that don’t fit your requirements or that cost too much. For example: You may have an urgent need for online bill pay functions to expedite collections, but might not want to pay extra for automated appointment reminders. What’s more, these findings show patients want to take a more proactive role in interactions with your practice. 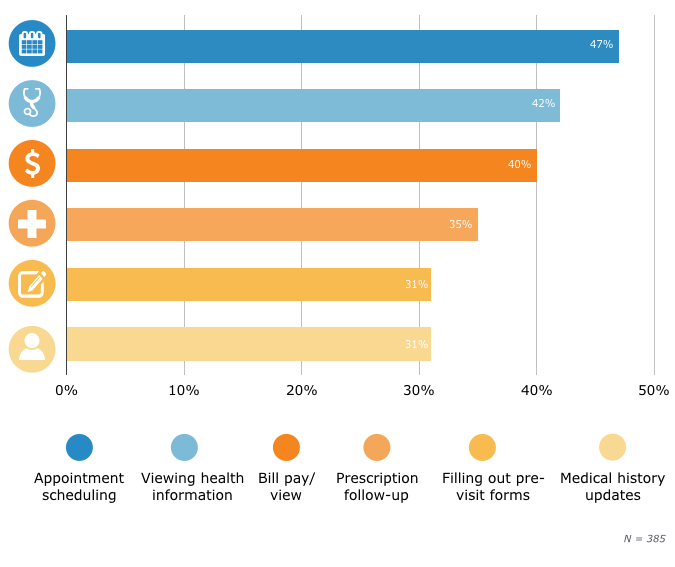 This is a win-win: Just imagine how much more efficient your front office could be if 47 percent of patients scheduled their appointments online! Next, we’ll show you what the top capabilities actually look like so you can visualize them as part of your practice. 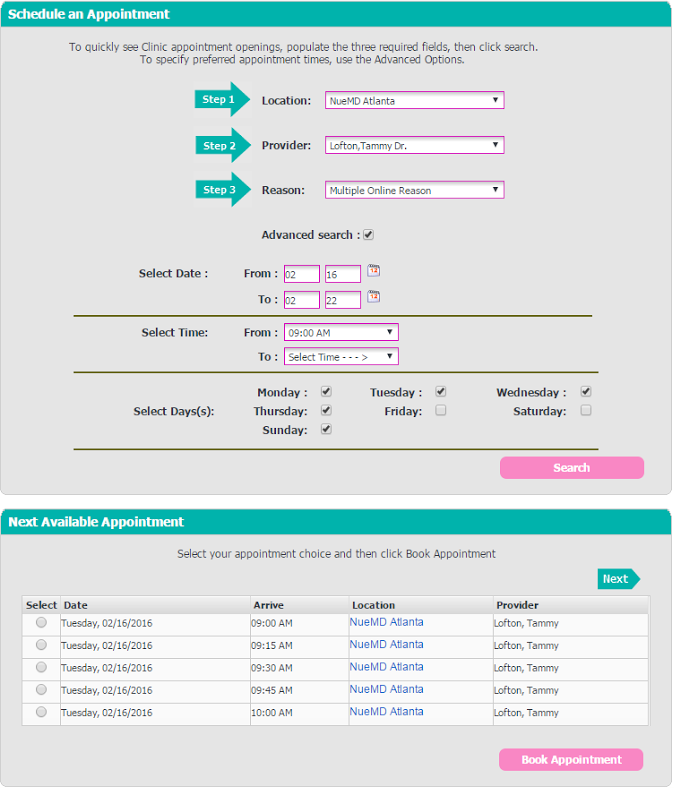 Highlight: The drop-down menus in this user interface (UI) make it easy for patients to set appointments in clinics with more than one physician and/or location. Patients are given multiple time and day options that align with provider availability. Case study: Franciscan University of Steubenville in Steubenville, Ohio recently started using this portal in its Student Health Center, which serves approximately 2,000 undergraduate students. NueMD says that, in the first two months of 2016 alone, 331 unique students logged into the portal to schedule, view and cancel appointments online. 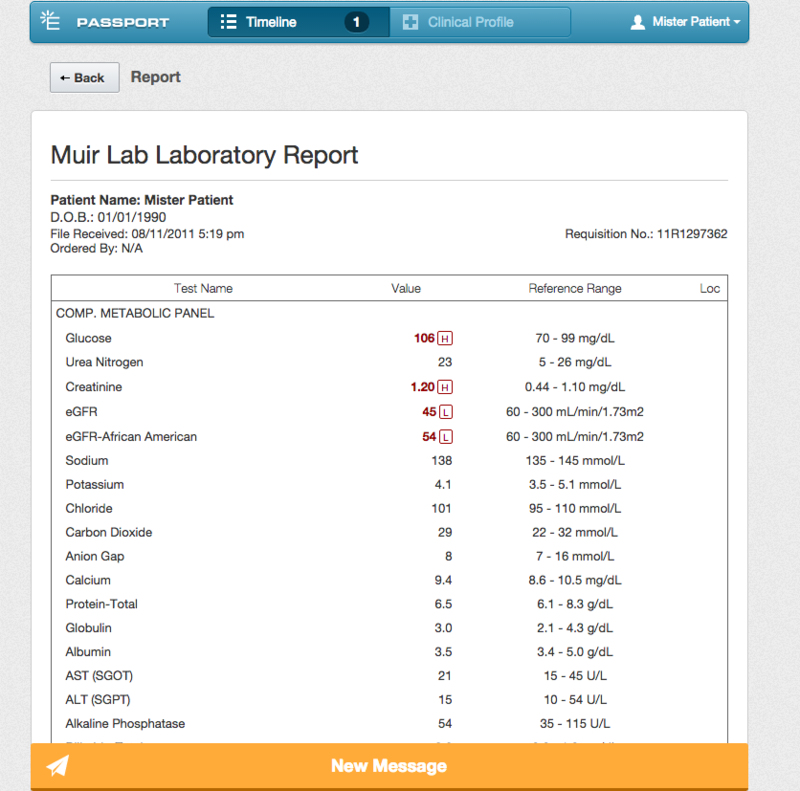 Highlight: If a patient has questions about their results or wants tips from your team on health management (e.g., how to decrease their glucose levels), they can instantly reply to your lab-results message through the software. Case study: Dr. Susan Sorenson, an internal medicine physician in Los Altos, California, says she values the ElationEMR Patient Passport’s ability to send information to her patients directly. 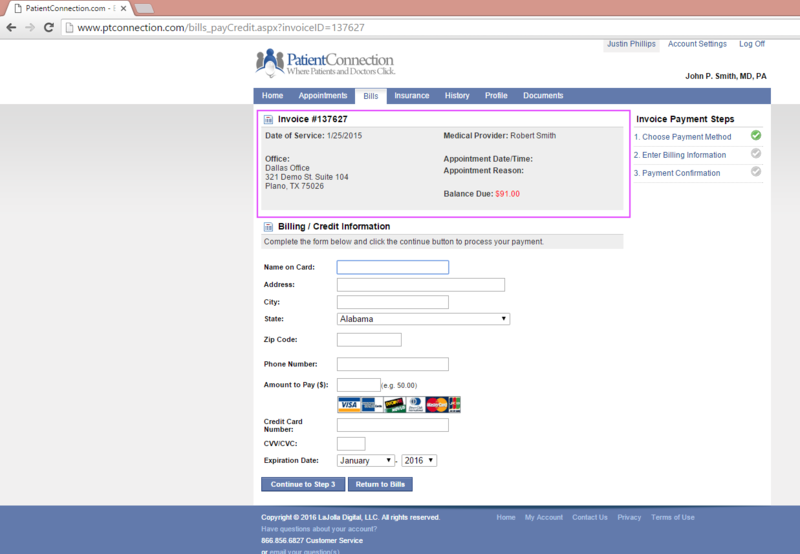 Highlight: The patient’s invoice, with the balance due amount emphasized in red text, is located right above the billing information form for easy reference. Case study: According to MDConnection, Sonoma Skin Works in Frisco, Texas was able to capture 23 percent of its patients’ balances through the portal after implementing Patient Connection. 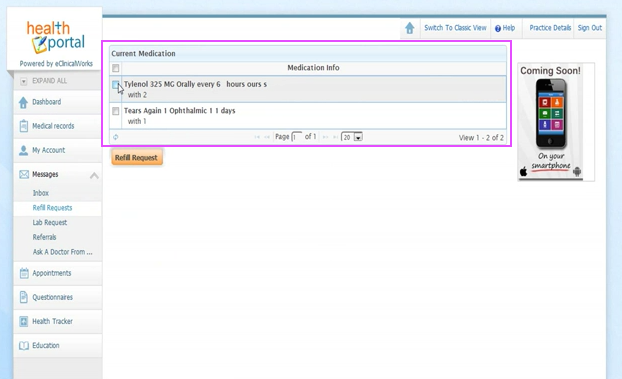 Highlight: There are two different ways to request a prescription refill through this portal: click on the “request refill” button on the home page, or go to a separate “Refill Requests” page to view a comprehensive list of current medications and make a specific selection. Case study: MedPeds, an eight-provider practice in Laurel, Maryland, has a 90 percent adoption rate of the eClincalWorks patient portal. Staff says the prescription refill request function has increased patient engagement. Highlight: Users of this patient portal don’t have to dig around different tabs to find the forms they need to complete. 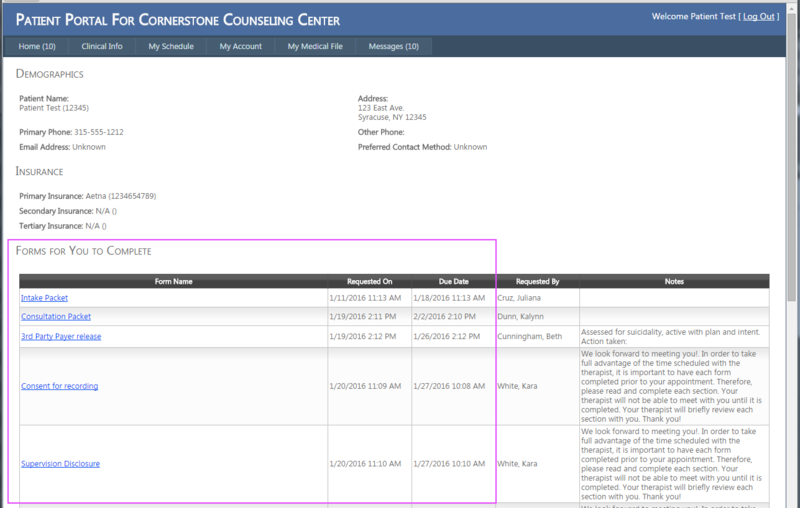 A hyperlinked collection of all requested forms, including their due dates, is listed on a single screen. Case study: Bruce Buchanan of Compass Clinical Associates, PLLC in Urbandale, Iowa says his practice has reduced its use of paper substantially over the past two years of using ClinicTracker. 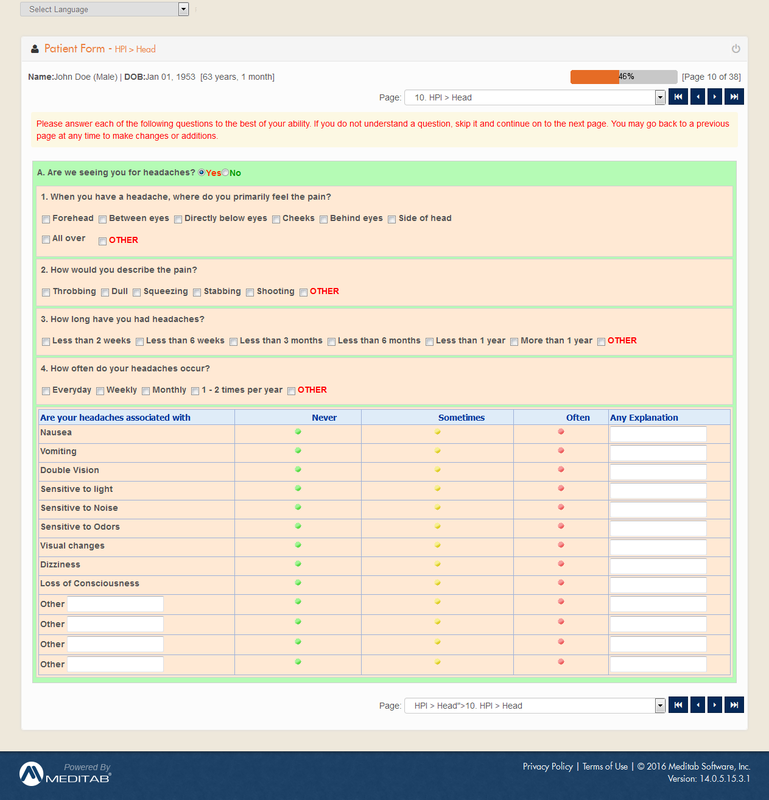 Highlight: These patient forms are customizable with a number of data entry tools (e.g., check boxes, open note fields, images) to help patients express their current condition in the most clear and comprehensive way. Case study: Dr. Ghassan Safadi of Dr. Safadi & Associates, Inc. in Sylvania, Ohio says more than 75 percent of his practice’s appointment requests are received through IMS CarePortal, reducing the amount of time spent on paperwork and phone calls. 1. Research pricing and set a budget. Again, your budget will often dictate how robust you can expect your portal to be. Call our team of expert medical Software Advisors at (855) 998-8505 to get free, custom price quotes on patient portals that fit your needs. 3. Read detailed product reviews. If you like the look of a certain portal, make sure the functionality and customer support it offers are equally impressive. You can do this by checking out real user reviews for hundreds of patient portals on our website. 4. Make a short list of five or six products. It can be tough to narrow down your options with so many systems out there. Feel free to email me or fill out our online questionnaire to fast-track that process for free. 5. Contact the vendors on your short list. Once you have a manageable number of systems to evaluate, you can arrange personalized product demos with individual vendors. This allows you to weigh the pros and cons of each with your team before choosing the perfect one. Take advantage of the product’s training materials. Vendors offer a wealth of online educational materials you can use to train your staff on the new system. These range from recorded webinars and instructional videos on YouTube to FAQ pages on the vendor’s website. Be sure to fully explore these materials—especially since they’re usually included in your subscription or license fee. Designate a “super user” in your office. Most of your staff should be able to get by only learning basic functions—but your practice should have at least one “super user” responsible for mastering the software. This will be the go-to person for fielding questions, requesting support from the vendor and providing tips or shortcuts to the rest of your staff. To incentivize your patient portal guru, consider offering a small bonus or additional vacation day. 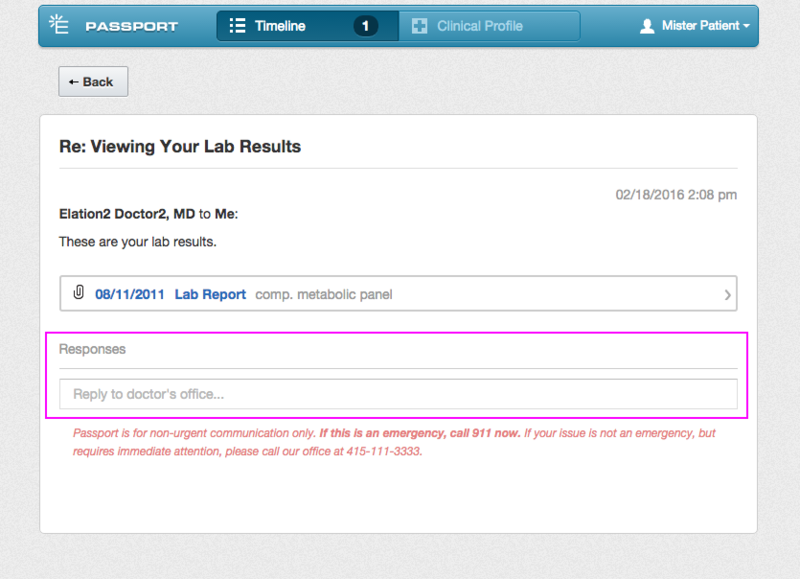 Create office-wide policies about when/how patient portal information is sent. You should be clear about who’s responsible for responding to patient portal queries, and how often they should do so. For example, maybe the front office fields general portal queries every few hours, while nurses field clinical ones, such as follow-up care questions, as they come in. Patients usually have to provide their email address to register for access to your portal. If you start collecting addresses early in the implementation process, you’ll be able to hit the ground running once the portal goes live. Consider modifying your pre-visit forms to include a section for patients to enter this information. Determine specific objectives related to patient portal use at your practice. For example: Maybe your goal is to get 5 percent of your patient population to access your portal in the next eight months, or for 10 percent to pay their bills online. Tracking goals will show whether the technology is serving its intended purpose, or if you need to change something in your workflow to encourage greater engagement from staff or patients. Even if you’ve done everything we’ve suggested for a smooth portal implementation, its success will ultimately come down to whether or not your patients actually use it. This is a challenge for some practices—so we wanted to determine what factors discourage patients from logging onto a portal. 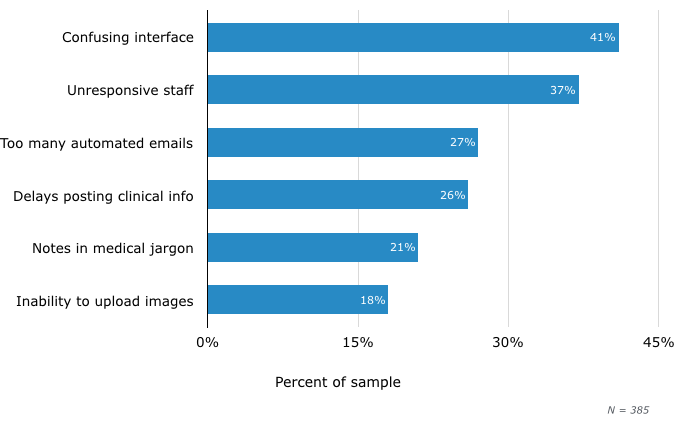 Confusing portal interfaces (41 percent) and unresponsive staff (37 percent) are the most common gripes. This data supports our earlier recommendations: that practices should choose a system with a user-friendly design and institute policies about responding to portal queries in a timely manner. Want to delve even deeper into best practices for choosing and using a patient portal solution? Check out this Buyer’s Guide for information on pricing, market trends and more.